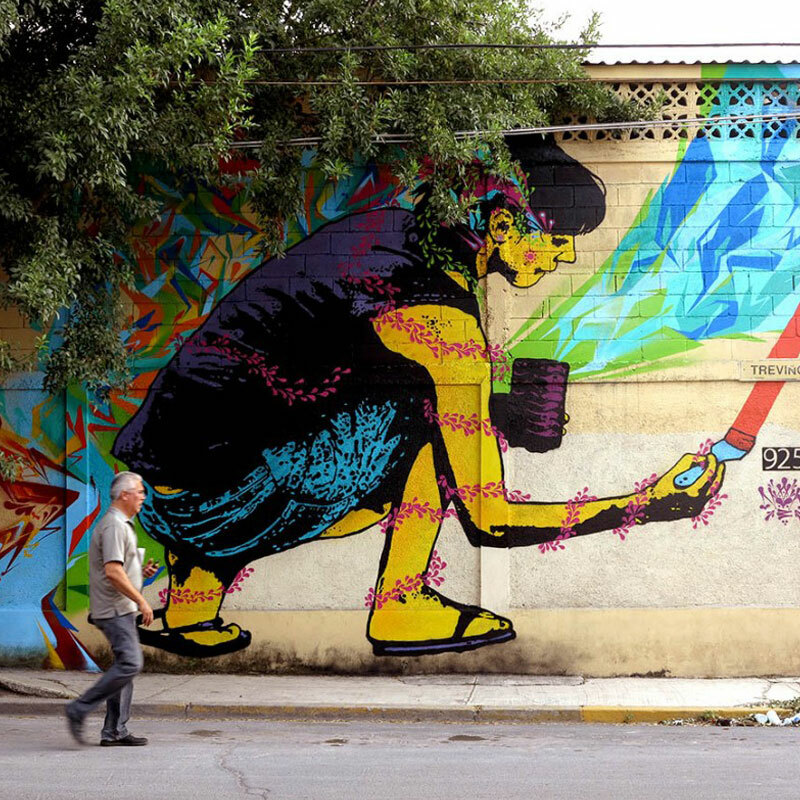 Stinkfish is a Colombian street artist who uses found photographs to create the images on his murals. He adds psychedelic elements to these images in order to create his signature style. 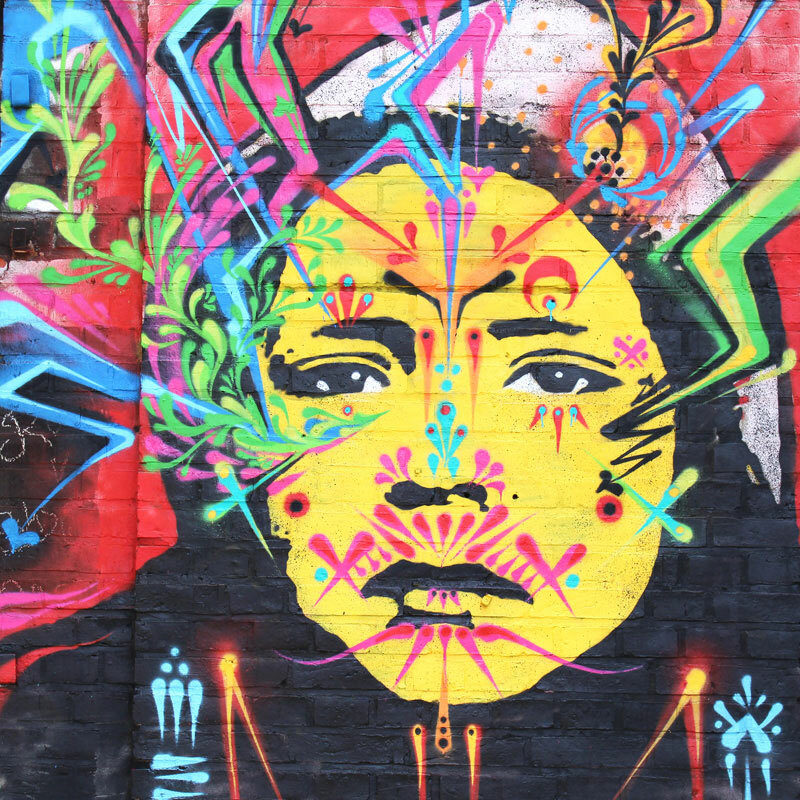 Stinkfish was born in Mexico; however, he spent his childhood in Colombia after his parents migrated there. He began wandering around the streets of Bogotá as a child, curious about his surroundings and the variety of people he saw. He never followed a fixed route, and this presented him with the opportunity to meet different people, and discover new locations. Eventually he found himself alongside a group of individuals with similar interests. These companions were equally interested in painting the streets illegally by using a variety of street art tools. 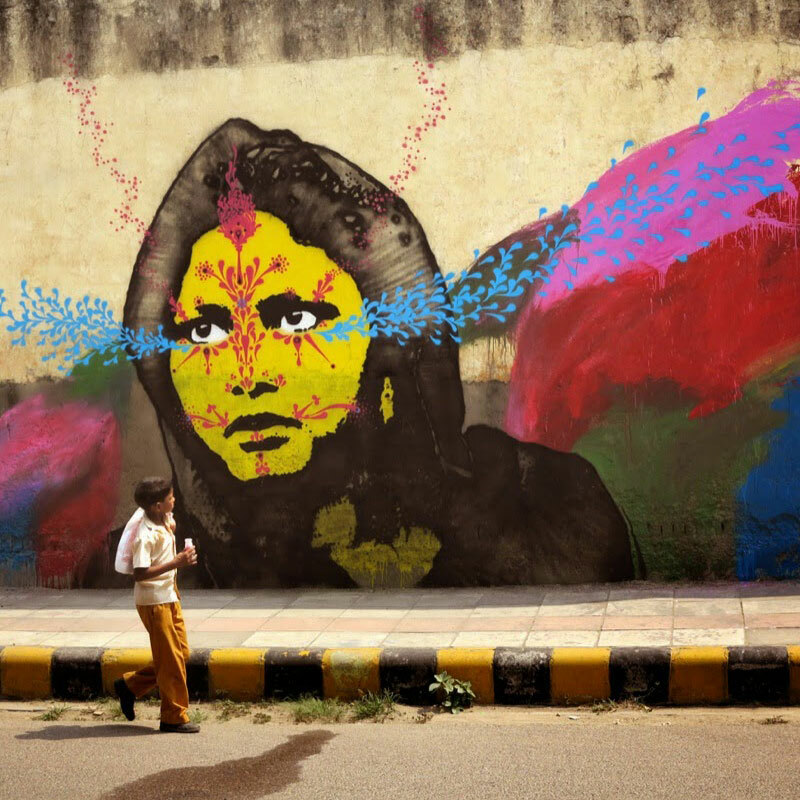 Stinkfish initially began making stencils around the years 2000-2001. 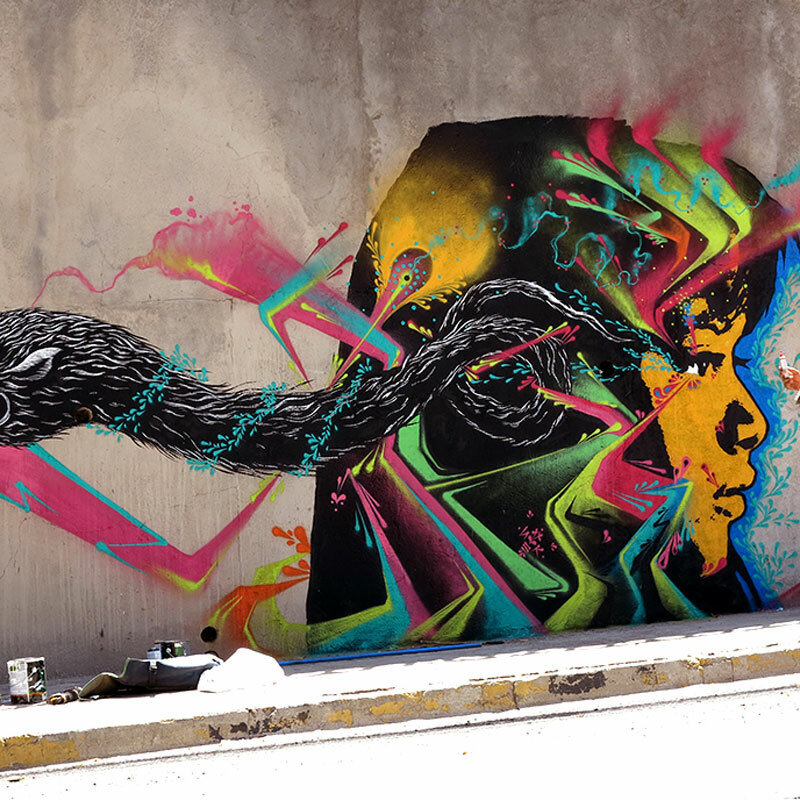 However, it was not until 2003, in Bogotá, that he created his first intricate street art piece. This image was created in remembrance of John F. Kennedy’s murder and depicted John F. Kennedy Jr. saluting the corpse of his father. He painted the piece over and over until one day the police stopped him. At the age of 16 or 17, Stinkfish began to write the name Stink anywhere he could, including school notebooks, desks, and bathrooms. A couple of years later, he began to add ‘fish’ at the end. There was no specific reason why he chose that name, besides the fact that he was young, discontent, and listened to punk music.